There's gotta be one in every house. 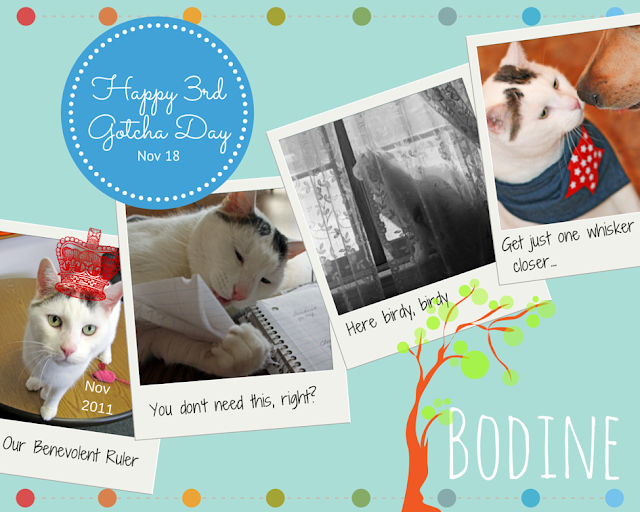 Happy Gotcha Day, Bodine! The guy does keep things interesting around here. His favorite game is Catch Me You Stoopid Dog.